I love china glaze they are one of my favourite brands. I quite like the crackle effect polishs and this particular one is easy to apply and dries quickly,it looks good over an colour polish and is a great talking point with your friends. 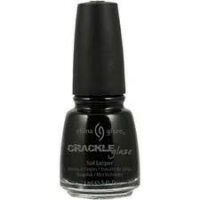 "I love china glaze they are one of my favourite brands. I quite like the crackle effect polishs and this particular one is easy to..."